This is a picture I drew and thought I’d share in my Hugh Hughes Roughbook. 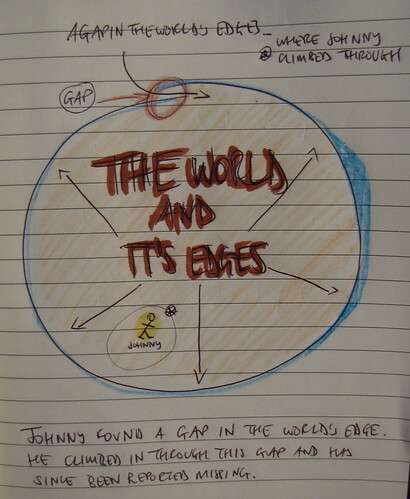 It’s a picture of Johnny, who climbed through a gap in the edge of the world. If you want to see some more Hugh Hughes Roughbook images, find me on flickr (search for Hugh Hughes). Tags: Hugh Hughes, hughs, Observations, World.